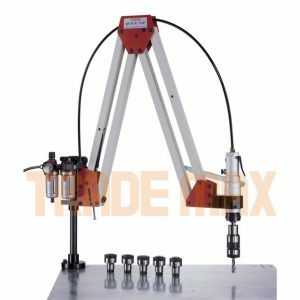 The TBM60 Draw Bender is designed as a multi-purpose unit for use in light engineering and fabrication. 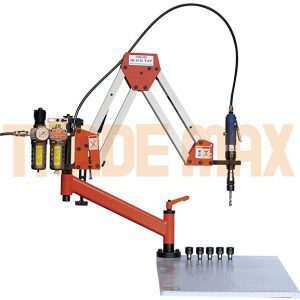 Suitable for general jobbing the TBM60 is a tube and pipe bender in a single axis, single stack configuration. 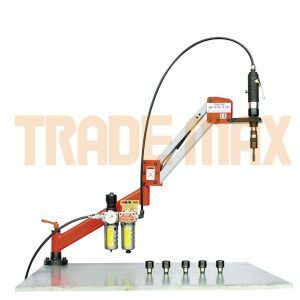 It is an excellent machine for bending simple, low volume (1-50 pieces) with single or multiple-bends per product. 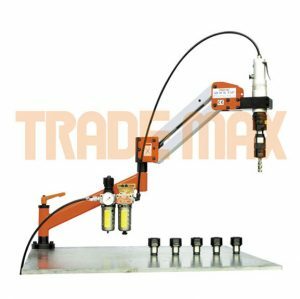 The TBM60 (manufactured by Tengzhou Tri-Union) Draw Bender is a tube and pipe bender in a single axis, single stack configuration. Customers will find this an excellent machine for bending simple, low volume (1-50 pieces) with single or multiple-bends per product. Suitable for Bending,furniture, gates, handrails, re-enforcing bar, and a multitude of other items manufactured by general jobbing shops. The controller is designed for simple operation and allows customers to program multiple bend angles. The TBM60 Draw bender will bend a variety of commonly used hollow and solid sections, as well as tube and pipe in mild steel, aluminium and other non-ferrous materials. ERW Tube (GR250), Stainless Steel, Aluminium 3/4" 7/8" 1" 1-1/4" 1-1/2" 1-3/4" 2"
Bending of stainless steel, aluminium, rebar, solid sections and special shapes is also achievable, however, specific details are required.